Firstly, a confession. In my main dynasty league, I am languishing in the lower half of the rankings. 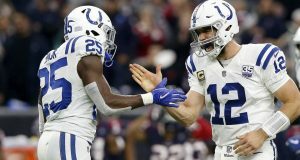 This article isn’t really for folks like me, but for those of you who are playoff bound and looking for a little something-something to help burst through post-season and secure the biggest prize in dynasty. We are quickly approaching the designated “no trades allowed” deadline. This article puts forward suggestions for those players you can get cheap but could bolster your flex options or add cover for injuries, as we reach the money end of the season. These are not investments or long-term plays, but affordable little moves & shakes that could tip the balance your way in a tight situation. The below are classified as Cheap (mid/low round pick should get it done) or Free (either on the wire or a late seventh-round pick will probably suffice). …well, if you’ve made it to post-season and need help at QB, kudos to the rest of your roster. Most likely, you’ll have a stud but might need a back-up (i.e. if you had Bortles or Dalton aptly as your number two). Eli’s been a QB1 based on the aggregate of the past three weeks. The Giants have some top talent receiving the ball and a ground game to keep defenses honest. Manning provides a solid floor, but a limited ceiling too. If you have a quality roster and need a predictable contribution from your QB, this could be the shrewd move to make. Presumably, the current Eli owner isn’t competing and their eyes might light up at the fourth you’re going to throw their way. Bengals face the Raiders in Week 15 and Browns Week 16. If you’re desperate for a backup quarterback and too cheap to pay for one, Driskel will have a shot to put up some numbers should your starter go down. Look, I don’t want to start a Jags quarterback, you don’t want to start a Jags quarterback, Doug Marrone doesn’t want to start a Jags quarterback – but you’re in the “Free” section so you can take what you’re given. Kessler is set to take the reins of a basement Jax side with nothing to play for. In 2016 Kessler completed 66% of his passes with a 6-2 TD/Int ratio – not great, but not a red alert either. How Larry has managed to play at an elite level for 15 years and yet some other chump manages to get the name “Fitz-magic” is a mystery to me. Fitz loves his football, if he avoids injury, I genuinely believe he will be back next season. 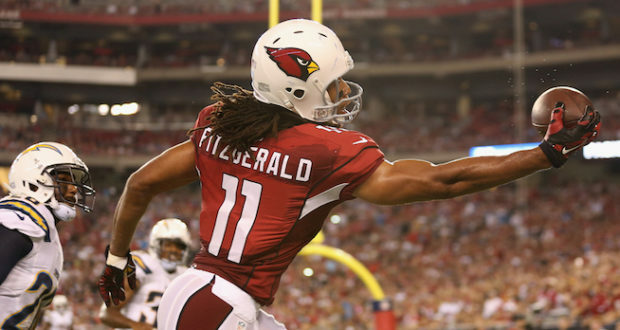 Even if you’re only buying him just for the next three or four games – he can provide you WR2 numbers (Fitz is the 15th scoring WR since week 7, including a bye, Cardinals changed their OC in week 8). The Cardinals will enjoy some pass-friendly game script and face the leaky Falcons and Rams in Weeks 15 & 16. Fitzgerald shouldn’t cost you more than a third and if he’s going to be your team’s WR3/4, he could make all the difference. Amari, Odell, Tyreek, DeAndre… all had fewer targets in the past two game weeks than Marcell Ateman. Of course, he didn’t do too much with them, but the rookie is being given a shot. Due to injuries/(…and trades), there isn’t much competition for targets in Oakland. With the next four games including both the Chiefs and Bengals, the opportunity to put up points is there. He won’t cost you anything, so if you’ve got a spot, take a shot. Acquiring an RB that would be useful for a run-in for cheap/free is near impossible. Handcuffs are for your own safety. The below probably is best served with a large pinch of salt. What would you pay for a 33-year-old running back due to being team-less come the end of the season? What would you pay for an RB1 (standard scoring) through the first twelve weeks of the season? 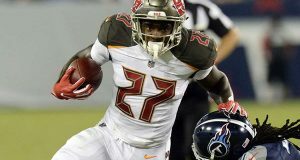 AP is the only remotely affordable RB, who is a lead back and has had solid production throughout the season. You’re paying for a short-term rental with no guaranteed return in 2019. It might take a third round pick, but given the prohibitive price of anyone else on the radar, Peterson is the cost/benefit play. Even if you aren’t the Kerryon owner, LGB could give you production, if you find yourself desperate for RB depth. If Johnson’s knee trouble persists, you’ll have a viable starter – if not, you’ll have a spin of the roulette. Touchdown dependant of course, but age and future opportunities mean he’ll only command the smallest of investment to secure for your team. With OJ Howard’s juice squeezed for the season, Brate has an opportunity to be the red zone target for the Buccs’ run-in. With Howard coming back next year, Brate’s price tag should be low enough to reflect this is only a short-term dynasty play. Could be a play for now and a play for the future. Since Week 6, Herndon has been TE8 overall – spanning starts from both Darnold and McCown. The rapid development throughout this rookie season could put Herndon on the slightly more expensive side, but there may still be time to catch this wave before it’s too late. The undrafted Harvardian Harvarder Harvardsmen (wish there was someone smart here to tell me which) has started to see a growing influence in a Titans offense still reeling from the loss of Delanie Walker for the season. Yet to drop a pass and gaining trust from Mariota, the rookie could slot in as an emergency-play against the Giants or Redskins in the final weeks. 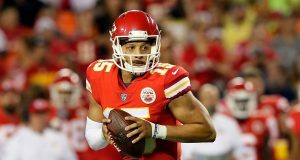 Still behind Jonnu Smith in the pecking order, in week 12 Firkser did, however, enjoy 4 targets on the 13 snaps he played (Smith: 2 targets on 42 snaps). I hope it doesn’t come to this for your playoff team, but given the seemingly endless run of Tight End injuries, holding an extra option for free may not be a bad move.